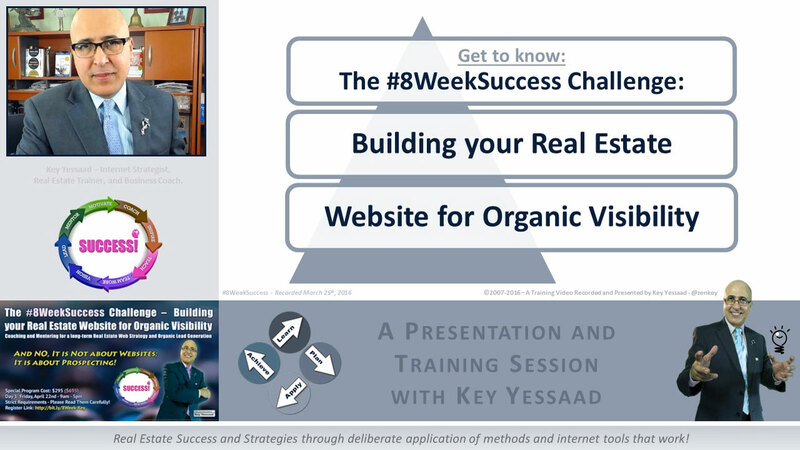 Genna Fleming along another 26 Realtors just completed the #8WeekSuccess Challenge of building your Real Estate Website for long-term Success. Genna shares her view of the training and why she recommends it to other Realtors. Thank you Genna for being so thoughtful with your words and courageous in your actions. This is Key and I just spent a few minutes with Bernadette Cole, The Broker/Owner of EXIT Landmark Realty, discussing her vision for Lunch and Learn - and why she is so driven to nurture her agents and neighboring Real Estate Colleagues to succeed... #8WeekSuccess - I was very inspired at the end of it... If you wish to get a hold of her call/text: (240) 328-0395 Or choose to attend many of her Open Training Events - you will be happily surprised!